HPS is a system useful to measure the heat power losses of boilers or other hydraulic appliances. 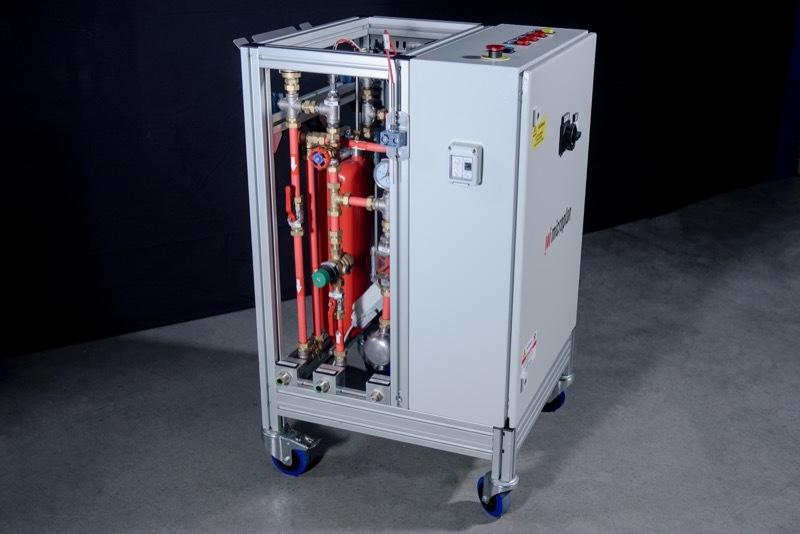 The electric heater - fitted within the hydraulic section of HPS - warms up the water in the circuit up to a programmed temperature difference compared to the ambient temperature, keeping this difference constant within some limits. The electric power absorbed by the heater is measured during the test and it represents, apart from the losses of the HPS itself, the heat losses of the appliance under test. The internal losses of the HPS can be measured once, by the system itself. They are taken in consideration in the calculation of the losses of the appliance.